I walk a lot of beaches, for a lot of miles. I really don’t like to wear shoes because the sand always gathers inside and makes it painful and difficult to walk. So, why bother? I kept trying different styles, and then I found them – FitKicks. 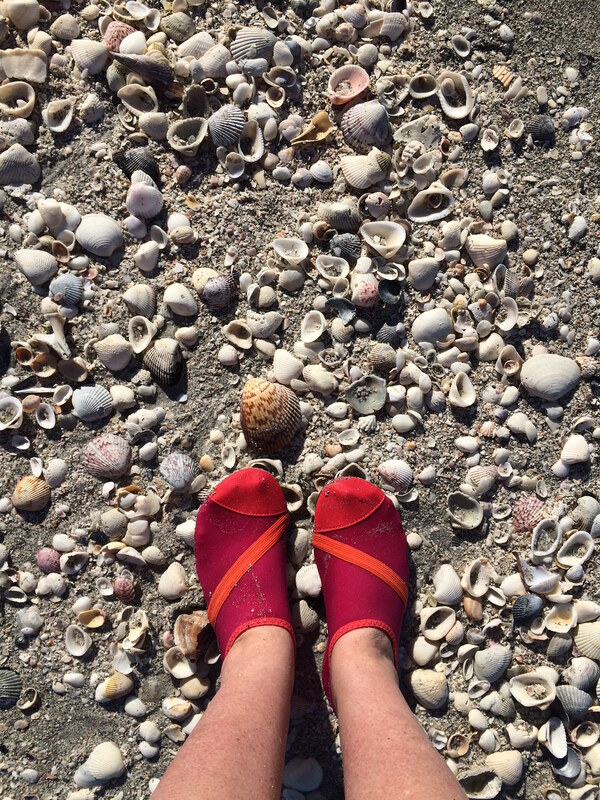 The sand didn’t gather on the inside, they are lightweight yet strong enough to walk over mounds of shells (like in Sanibel), and they come in a variety of colors. Oh, and FitKicks are only about $20! 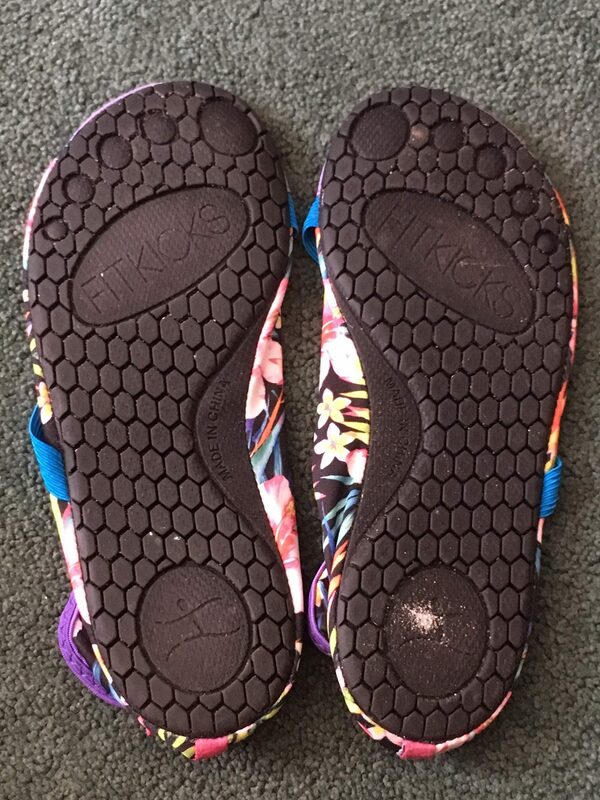 Beach shoes from FitKicks US in flower print. Score! 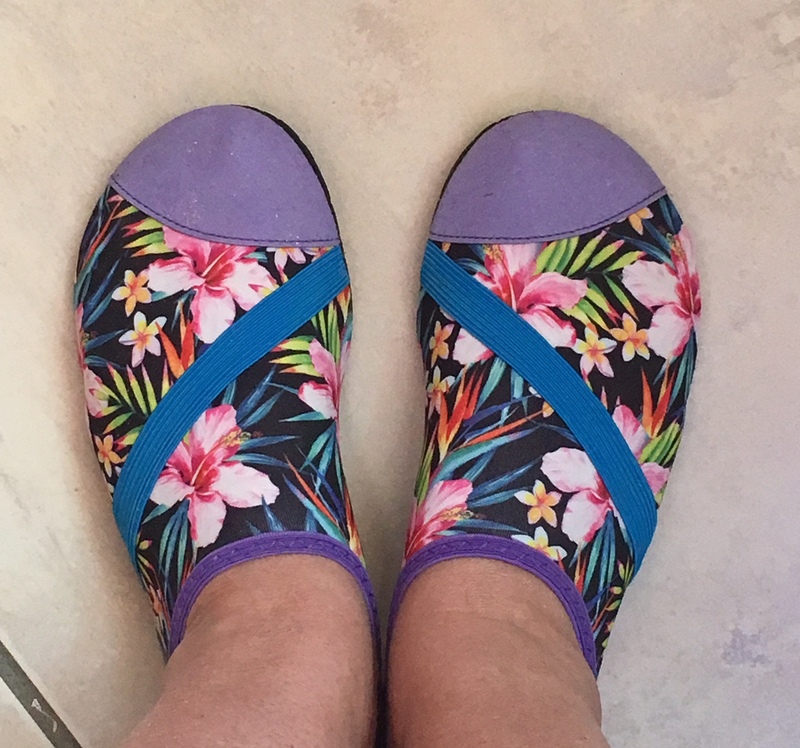 Try these beach shoes! You can use them for yoga, errands, exercise, around the house, whatever. I love them – and for $20, I really love them. Machine washable, air dry. They also come in women’s, men’s and children sizes. Bottom of the FitKicks shoes are flexible yet sturdy.